Spring is the best time to do a roof inspection, or after any extreme weather. 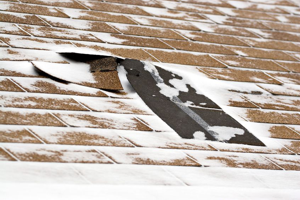 Ice and snow sliding off your roof can slowly damage asphalt roofing shingles & the weatherproofing underneath. High winds can also take a toll on your roof, especially if singles are already damaged. 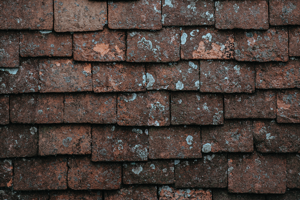 If you look up at your roof and see spots where there used to be shingles, you may not have much time before the structure underneath begins to be damaged by harsh Canadian weather. Cracked and torn shingles may also allow snow or water to seep through your roof into your home. If you see any of these signs, it’s time to take a closer look on the inside of your house or underneath the shingles for water damage. If the plywood underneath is wet, it may not be long before it seeps through the roof deck. Our stone-coated metal roofing shingles have the same aesthetics as asphalt shingles, but don’t crack or tear off your roof in a storm. If you see the crumbling shingles & grit from your shingles in your eavestroughs or loose material around access points to your house (chimneys, vents, etc) then your roof may be ready for replacement. 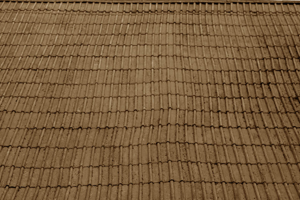 Metal roofing does not wear unevenly like shingles can. Our stone-coated shingles also allow snow to melt evenly and it won’t avalanche, so there’s no need for snow guards. 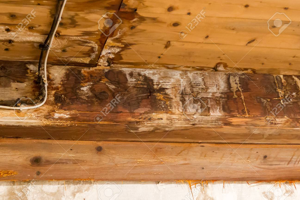 If you look at your roof from the back and sides and it doesn’t look even, this is a sign that the trusses or plywood used underneath your shingles are warping. You’ll want to take care of this problem right away, before whatever is causing the warping ends up in your house. Sagging rooflines can be a sign of decaying plywood or a broken truss. Most can be fixed or leveled out using a strapping system or shims. Crumbling or cracking bricks in your chimney can be a sign that there is moisture coming into your home, or animals have taken up residency & could be damaging your roof. 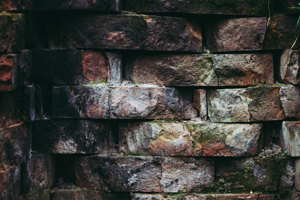 You may need to check the chimney flashing for leaks if you see any damage to the bricks. If you haven’t been up to your attic for a while, we don’t blame you… but it’s important to make sure that the roof deck isn’t sagging or leaking. You’ll want to look for water damage, drips or even snow on the ceiling of your attic. You should check during the daylight to see if any light comes through. Be sure to check any entry points for signs of moisture such as bathroom or kitchen stacks and vents. Spring is when animals start looking for places to nest, and may start chewing around your roof looking for a way in. 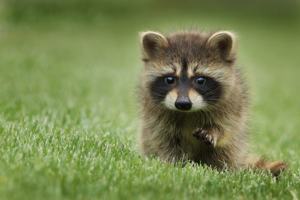 Raccoons are particularly drawn to attics and do not like to leave once they’ve taken up residency. Metal roofing is impossible animals to break through into your home, and if a great replacement material if you have an animal issue. Think it may be time to replace your roof? If you don’t want to replace it again for the next 50 years, want to increase the re-sale value of your home, and want to save money on replacement and energy costs, you should consider metal roofing when looking at a replacement roof. Take a look at our cost savings analysis tool, then take a look at our metal roofing products to decide what type of look fits your budget & style. You can then use our metal roofing calculator to get an idea of what your metal roof will cost.